Our family gets spoiled in summer; feasting on fresh salad a couple of times a day. 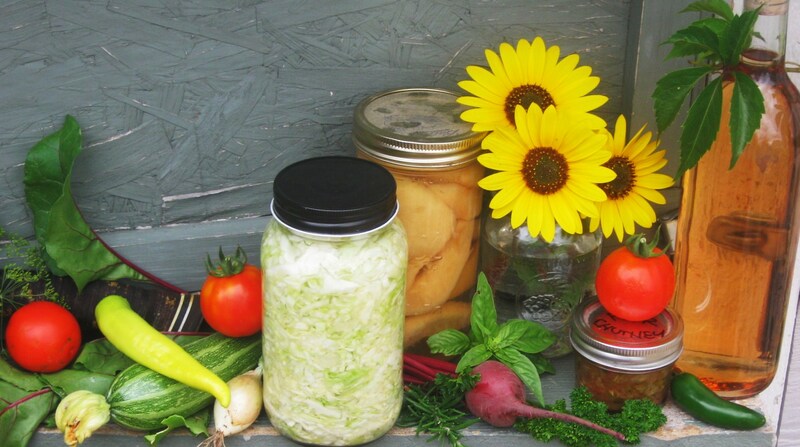 We have learned a successful way to grow our winter salads on a sunny windowsill. We recycle used plastic product containers. At the grocery store we sometimes purchase a marked-down rotissere turkey breast (great for in salads or on sandwiches made with home-made bread). These containers are perfect because they come with a clear dome lid. Simply poke a few holes through the bottom and the top with a pencil for drainage and ventilation. It’s a mini greenhouse! Fill the container 3/4 full with an organic-rich, loamy-sandy plant mix. Lightly scatter your favorite leafy seeds (leaf lettuce, head lettuce, spinach, mesculah, etc.) Cover lightly with soil. Water from the top with a spray bottle (on mist) filled with a diluted organic plant food and water mix. Once seedlings are established, plant another round of seeds to ensure a longer windowsill salad harvest. Most leafy greens transplant very well. 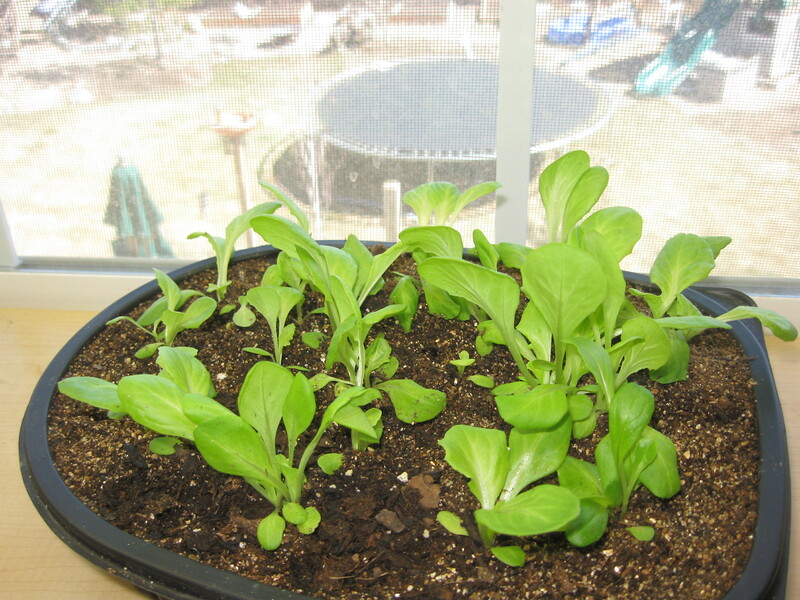 Thin out your salad bed by either eating or transplanting seedlings into other salad bars. Before transplanting, water seedlings and allow the soil to absorb the moisture . Using a small spoon gently scoop out the seedling with some surrounding soil. 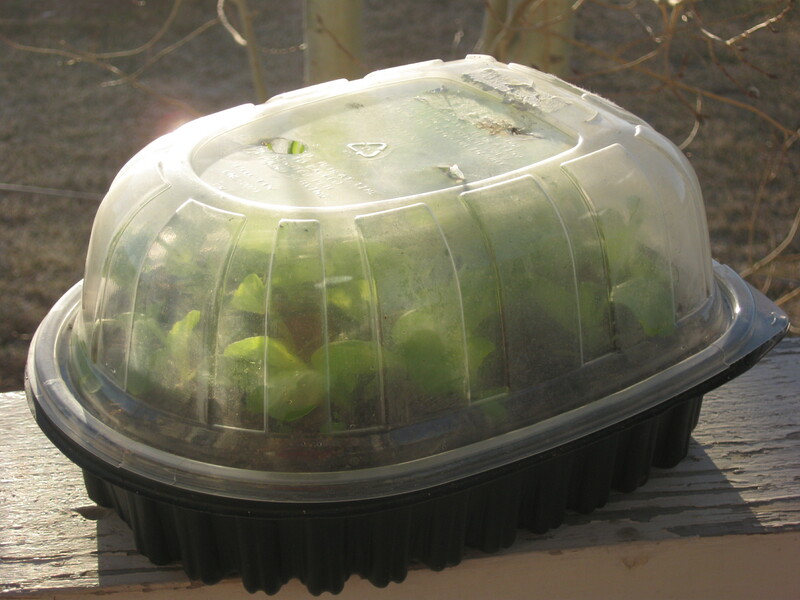 Transplant seedlings into another container, cover with soil and water well. 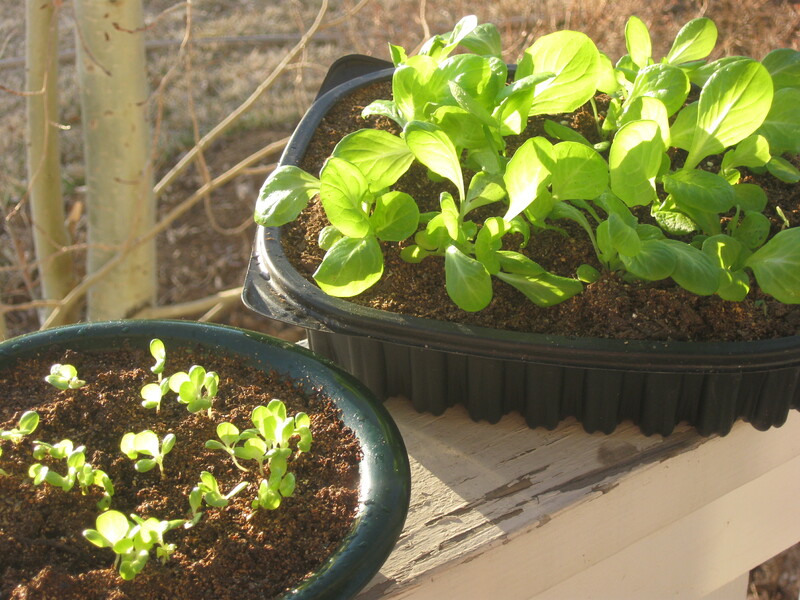 Place your salad containers in a sunny, warm spot keeping the soil moist (mist with plant food / water mix) . Placing the clear dome on the container will aid in increasing the soil temperature and humidity within the container which will increase seed germination and plant growth. In spring, transplant any salad plants you have remaining directly into your garden, beds or outside containers. Take another baby step to life’s independence by starting a year-round salad bar. Grow your greens on a windowsill. This post is being featured on Fennel and Fern a wonderful garden blog from the United Kingdom. Thanks! I visited your blog today and love your photos. I like the seed marker idea with clothespins. Thank you – My post would be a great fit.